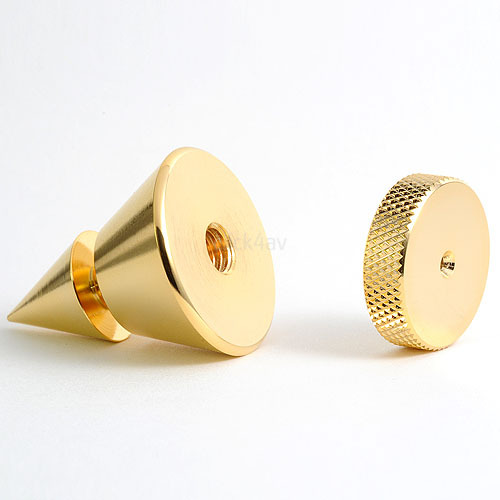 Gold plated isolating and damping spikes suitable for various audio, video and hi fi devices such as loudspeakers, turntables, CD players, Blu-ray players, amplifiers and pre-amplifiers. 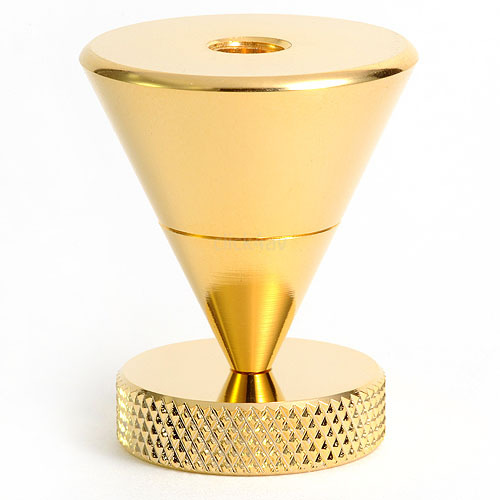 This stylish isolation cone is an adjustable spike with floor protection shoe to level and isolate high quality audio equipment. The upper part of the foot is tapped out with an M6 thread, so could be attached to a speaker cabinet with a short piece of threaded rod or wood to metal dowel (not supplied). 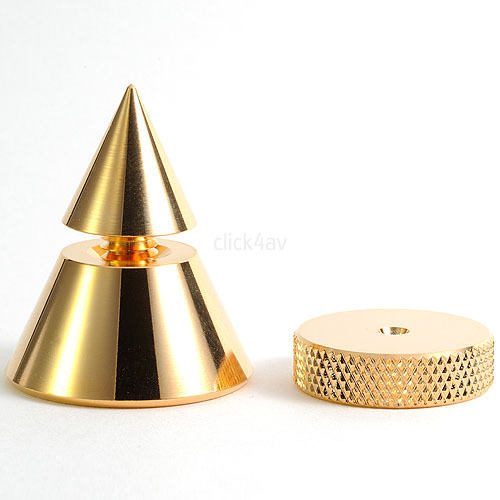 You could use small pieces of Blu-tac to secure the cone to an audio component. It could also be attached to a piece of high density board to form an isolation platform.